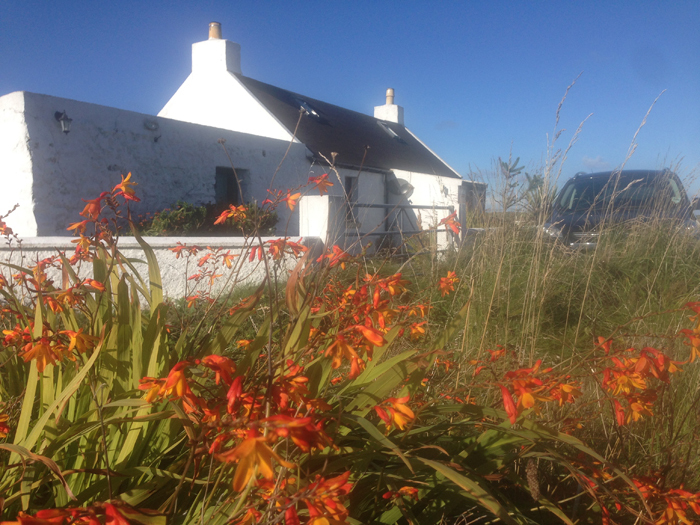 It’s a beautiful warm October’s day here in Tiree and difficult to keep my mind on maintenance work in the cottage when the weather is so nice outside. Unusually mild, I decided to enjoy some of this late Indian summer, by attending to painting work outside the cottage. The cottage soffit boards were painted, as were the cottage front door and garden bench. A new wooden garden gate was built, then painted with all rubbish cleared away.